Yes we can help! Mr. Kedikian has been a bankruptcy lawyer since 1997. He serves residents of Los Angeles and surrounding cities. He has concentrated his practice in Bankruptcy exclusively. He has been admitted to the California State Bar since 1997. He has developed his skills and understanding of bankruptcy with emphasis on Chapter 7 and chapter 13. He is intimate knowledge of Bankruptcy and debt related issues. He proudly serves the residents of Los Angeles and Southern California. Over the past 12 years, as a bankruptcy attorney, he has successfully filed and obtained bankruptcy discharge to all his clients to date. 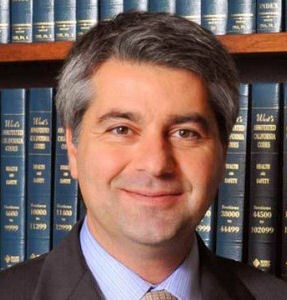 Mr. Kedikian is proud to provide professional legal advice to his clients and has an exemplary record. If you need a lawyer for bankruptcy, do not hesitate in contacting us. We are here to help with all your bankruptcy and debt relief options. Mrs. Kedikian was admitted to the bar for the State of California and the U.S. District Court for the Central District of California in 1997 and has since been practicing in the areas of entertainment and bankruptcy laws. Prior to establishing Kedikian & Kedikian, Arlene worked in many of the film studios in California including, Universal Studios, Inc., Warner Bros., Fox Family and The Walt Disney Company. After a significant period of working for such large entertainment corporations, Arlene decided to join Mr. Kedikian’s practice where she seeks rewarding experiences with her bankruptcy clients. Arlene currently practices bankruptcy exclusively with emphasis on Chapter 7 and Chapter 13. It is with considerable care and pride that Arlene serves her clients as they face challenging economic situations. We are a member of the National Association of Consumer Bankruptcy attorneys NACBA. we are a A+ rated member of the Better Business Bureau BBB. We are members of the California State Bar in good standing. And we are admitted to the U.S. Central District Bankruptcy Court, Eastern District Bankruptcy Court, and Southern District Bankruptcy Court.